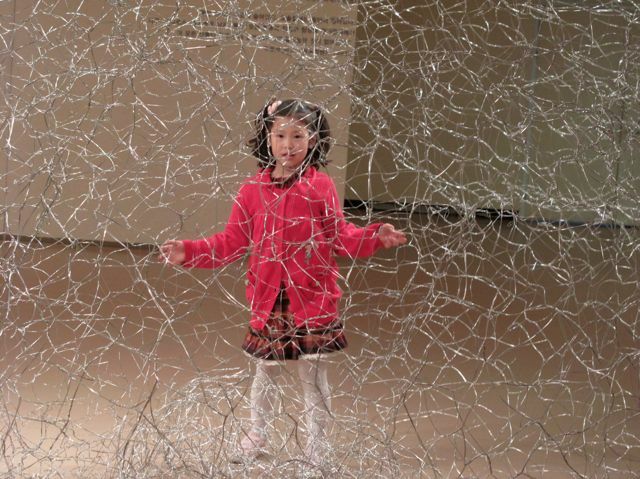 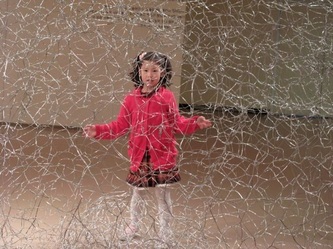 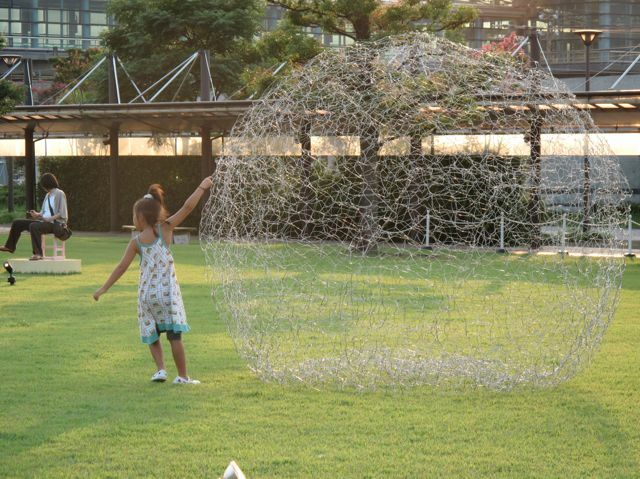 This soft sculpture is built by weaving one single line. It gave people two different feelings. 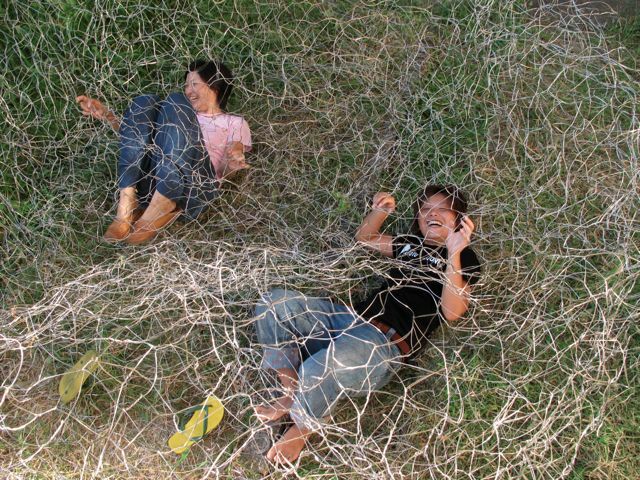 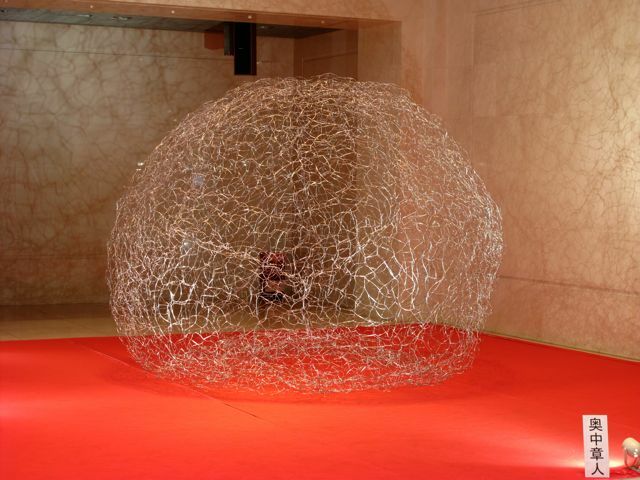 One is a soft feeling of whole structure, and the other is a local, strong resistant because this sculpture is built with a high tensile and hard wire. 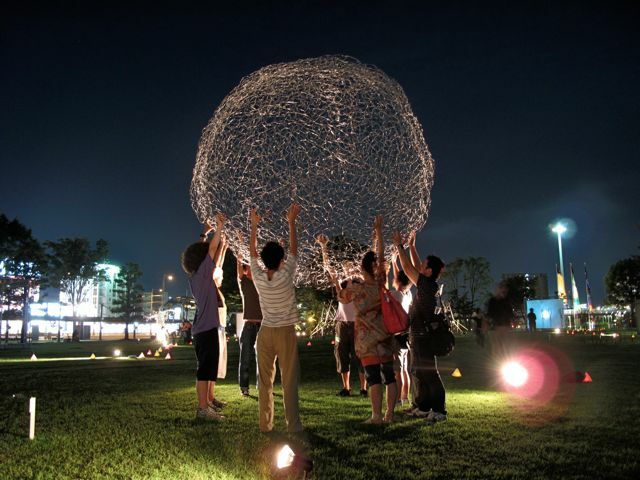 Thus, the sculpture always has a resonance. 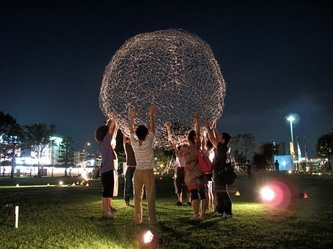 Everything of the world always resonate more or less, and it is difficult for us to recognize that resonation from looking at its surface without our sensorial experience.Even when you don’t touch the sculpture, you will see the resonance as influenced from the surrounding environment. 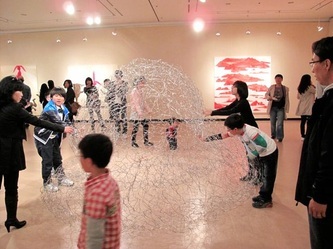 Children are just playing with my sculpture. To appreciate my work enough, people can touch it and play with it enough. 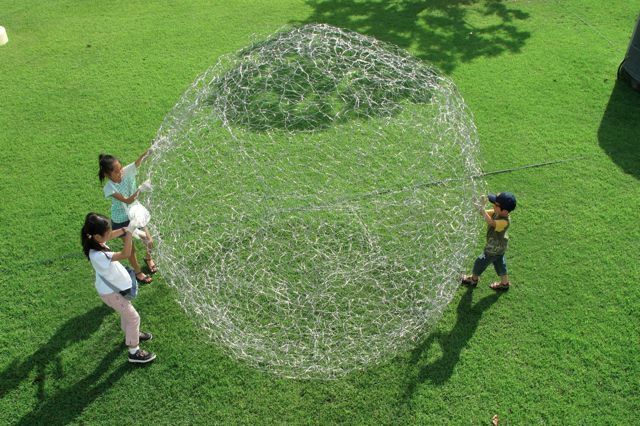 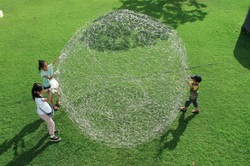 This double-layered sphere has this entertaining function of autonomously coming back to its original spherical shape, even if you squash it completely.My works and people are involved with each other, and both of them cooperatively make a small local world that is free of my control, and that is the most interesting thing for me in my artist life.